As a university student myself, my budget is at a negative 100 when it comes to buying new clothes. My number one go to is always thrift stores, because nothing can beat a 2.00$ secondhand t-shirt. However, thrift stores are a definite hit or miss, and if you're looking for a new piece of clothing to add to your wardrobe, it can be frustrating to hunt through racks and racks of clothing. 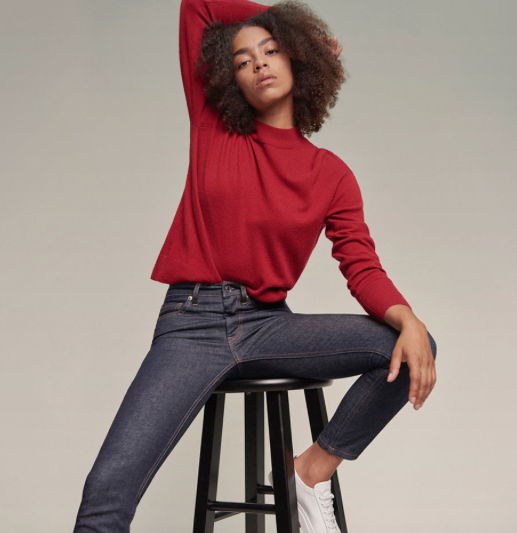 So, I've rounded up a list of 'basics' that I feel like every student owns: jeans, leggings, t-shirts and sweaters, and all of the items on this list are under 100$! All of these are more expensive than your typical Forever 21, but guess what? You're not exploiting children when purchasing them. So I'd say its a win for humanity. This being said, I do acknowledge the immense privilege that still comes with buying these items. From needing a credit card or PayPal account, to having a physical address to ship to, I understand that even these options aren't feasible for a lot of people. Ethical fashion and clothing still caters to a certain socio-economic class, which unfortunately isn't accessible for a lot of people. If you do have a little wiggle room in your budget however, I think these basics are reasonably priced enough to invest in. I don't think you can beat Everlane, who just released their denim collection. I'm obsessed. Coming in at 68$, these are extremely affordable while still being ethically made. Compare this to Gap (notorious for child labour and human rights abuses) who charges on average 59-70$. There are a couple of companies that make classic and soft basic tees. Now, I need you to keep in mind, that a t-shirt ISN'T supposed to cost the same amount as a latte. To make a t-shirt, there are so many steps, from producing cotton, to spinning it into thread, to weaving, to construction and design, to sewing, and then finally to you. I know its tough to wrap our heads around buying a t-shirt that costs more than 5$, but as Lucy Siegel says, fast fashion isn't free. Somewhere, someone is paying. 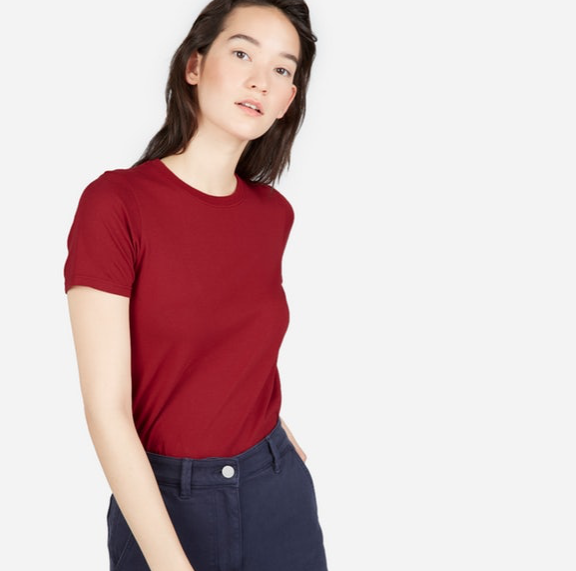 So, I've tried to track down the cheapest, yet fairest tees out there. The first is Franc, a Canadian brand that I just recently discovered. While their raglan scoop t-shirts are 47$, I love that they are designed and made in Canada. If you're looking for a graphic tee, I recommend A Beautiful Refuge. I'm in love with their transparency. It was started by Hannah Theisen, who is an incredible ethical blogger who moved to the Philippines, and is now opening her own ethical factory! Their tees start at 24$. Girlfriend Collective made waves on the internet when they were offering free leggings awhile back as part of their marketing scheme. Who knew they'd actually be an ethical company? Their leggings come in a slew of colours and are only 68$. Plus, they come in high and mid-rise, and have sizes up to 3XL! Happy studying my fellow students!